After a successful two year run with Diatec Trentino, Oleg Antonov has signed to play the 2017-2018 year with Tonno Callipo Calabria Vibo Valentia. Antonov is leaving a Trentino team that has been one of the top teams in Italy in recent years. They won the bronze medal at the FIVB Club World Championship in 2016 in Betim, Brazil, in addition to finishing second at the 2015-2016 CEV Champions League with the finals taking place in Krakow, Poland. The 6’6” (198 cm) outside hitter is no stranger to playing professionally in his home country of Italy. Since he turned pro in 2006, Antonov has spent 10 of his 11 professional seasons playing in Italy for 5 clubs: Sisley Treviso, Pallavolo Montavo, Pallavolo Genova, Piemonte Volley and most recently with Diatec Trentino. The exception is that he spent the 2014-2015 season playing in France for Tours VB. 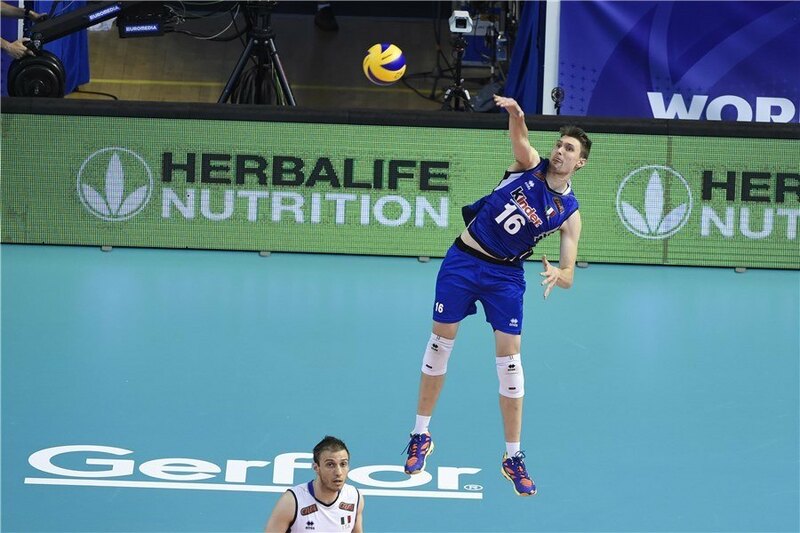 Antonov spent the summer playing with the Italian national team, scoring 64 total points in the 2017 FIVB World League for a team that failed to qualify for the final round. He is also an Olympic silver medalist as he helped lead Italy to a second-place finish at Rio 2016. Antonov’s father Yaroslav Antonov is also an Olympic silver medalist, finishing runner-up in 1988 while playing for the Soviet Union. Antonov will join American Ben Patch with Vibo Valentia, a team that was recently moved up to the Serie A1 league, the top league in Italy. Tonno Callipo Calabria won the Italian Cup Serie A2 in 2015 and 2016 and finished 8th last season: their first in the SuperLiga.